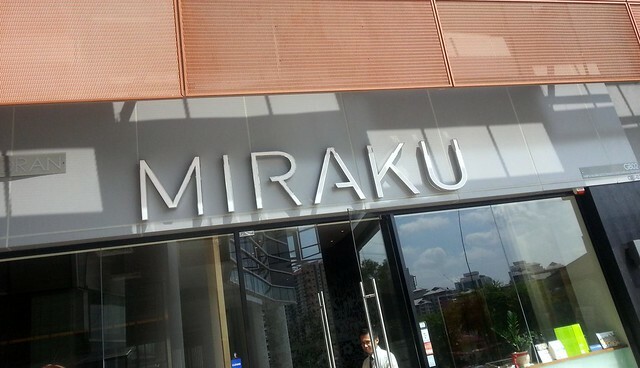 Petaling Jaya: Miraku Japanese Restaurant, Paradigm Mall – Miraku, Miraku, Mi-rak-U! Sounds familiar to you or not? 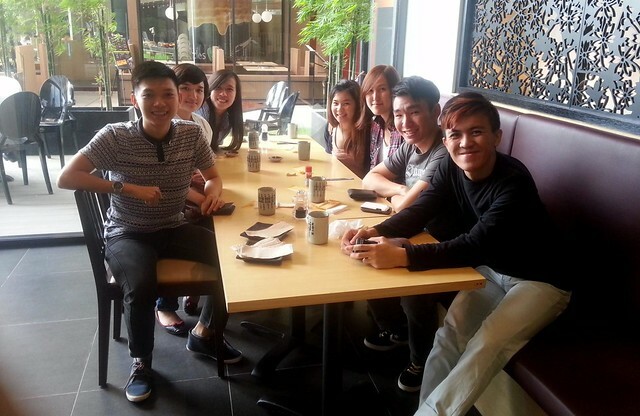 It’s the same restaurant at the G Hotel Penang, and it’s now at Paradigm Mall, Petaling Jaya. I’ve been in Penang for so long but never went to the one in G Hotel because I always think it’s very classy and elegant and exclusive, but suddenly it appears in a normal shopping mall here in Petaling Jaya. Funny? Selling the same food, with the same name but locates in a very hidden area of the mall, Miraku didn’t has much visitors on yesterday’s lunch. In fact, there’s like two tables only. They have set menu, starting from RM20++ and I’ve got to say, the staff were really friendly, maybe there’s not many people to serve, I guess? Haha. It’s a gathering lunch with a long time no see friend, Wanyi who has just came back from Australia, who were also in the same class when I was in Semester 1 and 2 in Taylor’s University. Yeah. Talking about food, price is already standard, more than average yet acceptable to me. So I guess, I might visit the one at G Hotel Penang the next time. 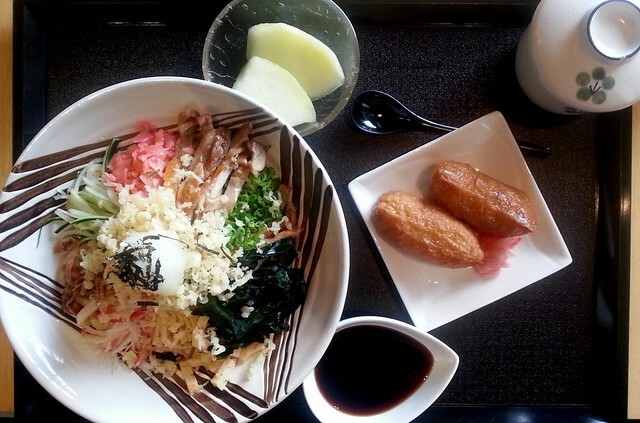 I ordered myself a Gyu-don Set, and I’ll let the food picture tell you the stories now! Appetizer for all, a chicken something salad with broccoli and some other stuff. OK-yummy. 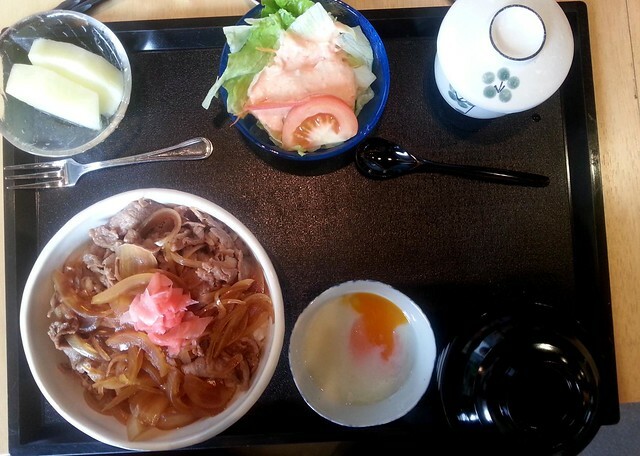 My Gyu-don Set (RM28++). You will just have to ignore the bad photography skill as I were too hungry to snap photo. The restaurant was not selfish that there’s a bowlful of beef slices. A separate bowl of half boiled egg to be poured into the rice makes the eating experience for interesting. 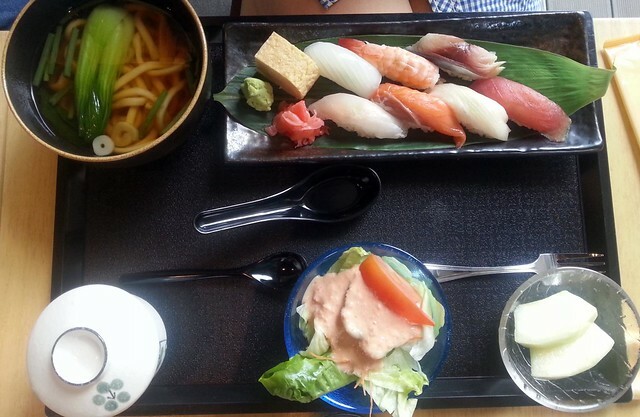 Set comes with chawan mushi, miso soup, salad, and a fruit. Yeah, so far this is the place that gives the most beef. 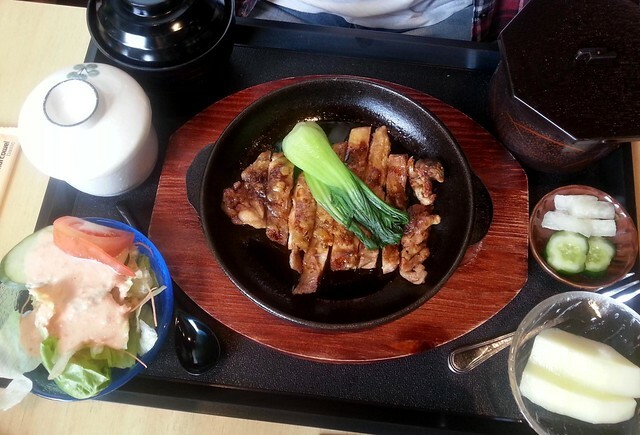 Chicken Teriyaki Set, with rice. Oh-gosh, I’ve forgotten the name of this Udon, it’s cold by the way. 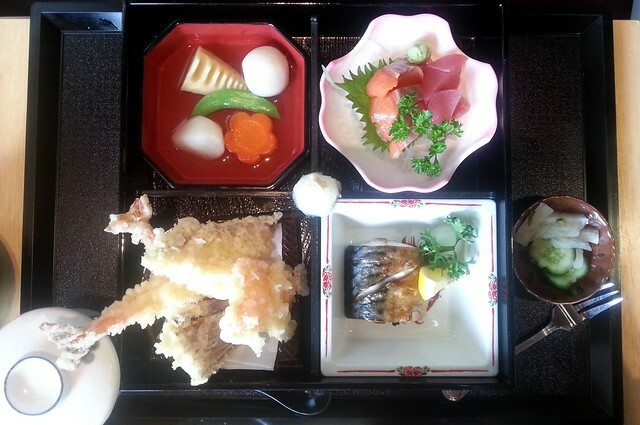 Tempura and Sashimi set, which seems very very interesting! 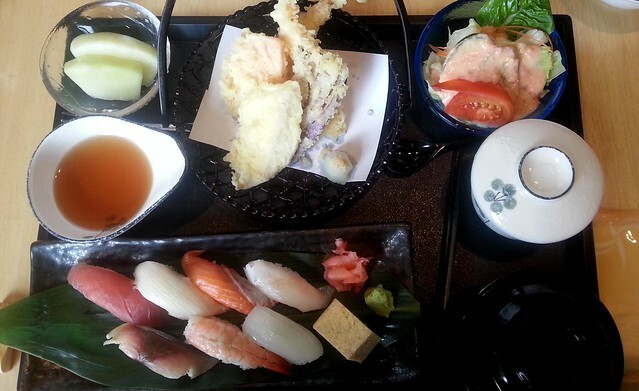 The Sushi and Tempura Set which is also very interesting. A group shot of us. Headcount time! 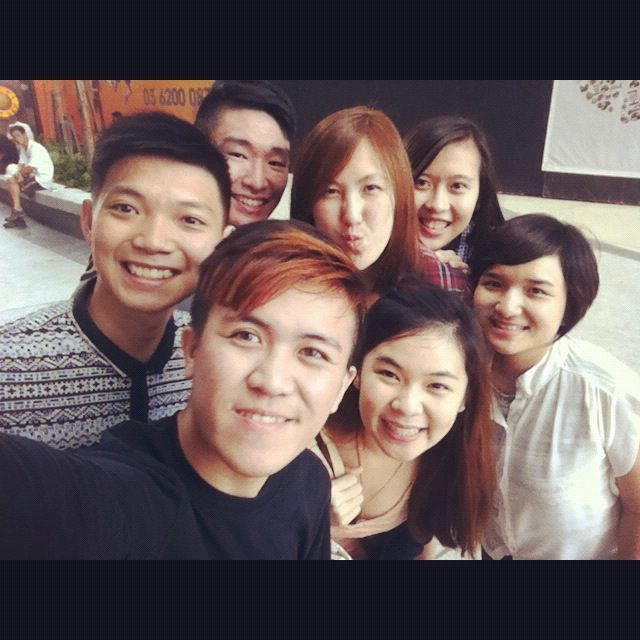 – Me, Connie, Danille (nice to meet you), Quenna, Wanyi, Arvin and Henry. Total bill bombed us with RM290 for 7 of us, but happily and surprisingly, we got a 30% discount because Henry has a HSBC credit card! Oh, that’s a lot of discount with a final bill of RM200. Moreover we were given an extra RM20 of cash voucher. 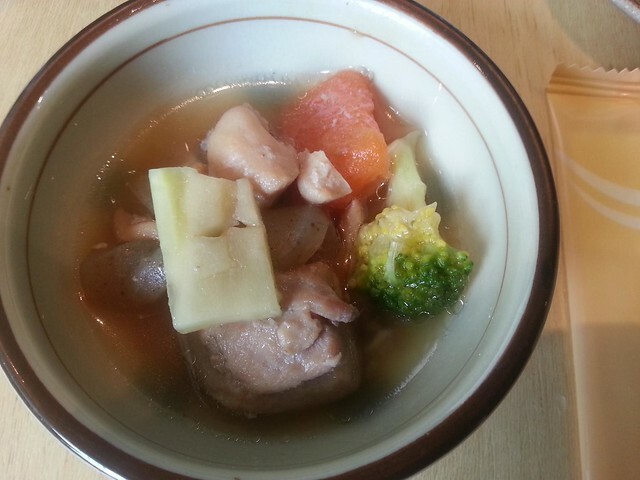 Very good service, food is also very good and fresh which I like, but it’s not my always-visit Japanese restaurant, because of the price, or until I get a HSBC credit card first. Haha. Previous ArticleSingapore: My First Time Eating TWG Macarons!